Lockheed Martin Corp. must find ways to reduce the Pentagon’s current $1.1 trillion estimate to own and operate the F-35 jet, the world’s costliest weapons program, according to the Defense Department’s latest annual program overview. According to the document, Lockheed “must embrace much-needed supply chain management affordability initiatives” to cut costs on the next-generation stealth fighter. Variations of this story keep bouncing around my news alerts on the F-35 and with good reason. The predictions made by many are finally coming true. The Pentagon got a plus up under Trump. BUT! Even if Trump wins a re-election I don't think he will be pushing this type of bill OR sign one into law. The battle between bread and butter was won by both but in the near future choices will be made. 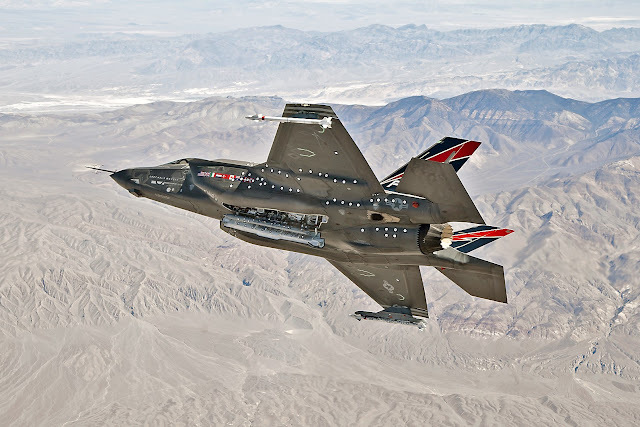 The F-35 costs too much and the numbers they're talking of cutting is the death spiral that the fanboys fear. Sweetman, and APA were right. It's taken another 10 plus years but in the end they will be vindicated. They said this would happen and no one listened.